Good vibes with any kind of weather! We are offering single tickets for specific concerts, day tickets and festival passes. IDeeJazz – the festival of good vibes returns! The eighth IDeeJazz festival takes place November 9-12 in Tartu and Narva, featuring top artists from Europe, Africa, Russia and Turkey. The programme is best characterized by keywords such as ‘delightful’, ‘eclectic’ and ‘modern’. Featured genres range from classic and contemporary jazz to world music; from downtempo and lounge to electronic psychedelia and other exciting soundscapes. The full programme has now been announced and extremely low-priced festival passes, day tickets and single concert tickets are now available on Piletilevi. . Special offer discount tickets will be sold until October 14.
International jazz and rhythm music festival IDeeJazz invites you to come and get a positive recharge in the late Estonian autumn. IDeeJazz takes place in two Estonian towns – already for the eighth time in Tartu and second time in Narva. Altogether, the two towns will be hosting 15 concerts! IDeeJazz establishes Tartu and Narva on the global map of music culture, as both towns will be introduced to first-class jazz and rhythm music artists from Estonia, Europe and elsewhere. The concert stages of the 8th IDeeJazz festival will be taken over by top musicians from Gambia, Germany, Turkey, Poland, Russia, Finland, Latvia and naturally Estonia. “This year’s festival’s delicacies are coming to you from Africa and Europe,” says Oleg Pissarenko, the chief organiser of the festival. “I’m proud to mention especially Sona Jobarteh, the first female griot kora virtuoso, who is also an excellent singer, composer and social activist. Another special experience is guaranteed by the performance of De-Phazz, one of the top exports of German music industry. Exotic vibes are introduced to the programme by Islandman, a trio from Istanbul who play atmospheric club-oriented music and also won the Shure Montreux Jazz Band Award at the Montreux Jazz Talent Awards this year. In addition, we will celebrating the centenary of the Republic of Poland together with virtuoso pianist Sławek Jaskułke’s sextet, enjoying new and beautiful music from Rihards Libietis Orchestra and combining jazz and chess with the excellent Finnish musicians of William Suvanne’s project Chess’n Jazz. The reference to ideas in the name of the festival also reflects in its line-up, for each artist has something extraordinary and original to offer. 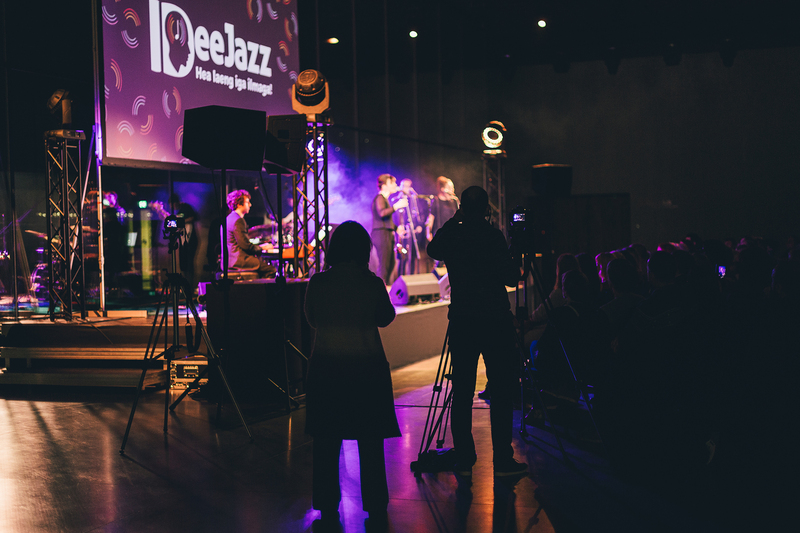 IDeeJazz – the name and the event stand for jazz as an idea: open-ended, innovative and creative energy flowing back and forth between musicians and audiences. IDeeJazz is just like Estonia – not exactly large, but lots of content nonetheless. Each concert is distinctive and unique. IDeeJazz 2018 is a present to the Republic of Estonia on the occasion of its centenary. Previous IDeeJazz festivals have featured artists such as Richard Bona, Dino Saluzzi, Anna Maria Jopek, Oum, Aubrey Logan, Sebastian Studnitzky, Leroy Jones, Marcin Wasilewski, Enver Izmaylov, Sven Grünberg & Mess, Radar, Peeter Volkonski & E=mc2, Tõnis Mägi, Marju Kuut, Vaiko Eplik, Tõnu Naissoo, Kristjan Randalu, Hedvig Hanson, Kadri Voorand, Laura Remmel, Sofia Rubina, Villu Veski, Raivo Tafenau, Jaak Sooäär, Tanel Ruben, Oleg Pissarenko, Estonian Voices and many others.